The greatest threat we have to the financial stability of the entire global economy is the collapse in liquidity. Governments cannot understand that their desperate need for money that has unleashed the worldwide hunt (or shakedown) is producing the greatest collapse in liquidity on a global scale perhaps in modern history. Even just recently, the Federal Reserve Governor Jeremy Stein commented on what has become obvious that the bond market that it is too large and too illiquid. This exposes the entire market structure to a contagion crisis that is capable of seizing up the world economy like never before in history since the 1720s. International investment has been the lynch-pin of economic expansion since ancient times. International trade began in the Babylonian era. Even in Athens, Aristotle wrote about the people who made money from money that inspired Marx. Aristotle believed that the creation of the market economy, whereby farmers could produce excess crops and sell them to brokers in Athens who resold them in foreign lands, was undermining the quiet Athenian social structure. Cicero wrote about how any disaster in Asia Minor sent panic running down the streets of the Roman Forum because of international investment. Following the Dark Age that began with the fall of Rome, the Tulip Bubble attracted capital from all over Europe as did the Mississippi Bubble in France that burst in 1720 followed by the South Sea Bubble in England later that same year. Targeting money overseas for not paying taxes is destroying international trade and that reduces global liquidity. The greedy people in government only see their self-interest and not the consequences of their actions. The events of 2008 when the money market funds briefly fell below par was a warning sign that we are in a bear market for liquidity. The Federal Reserve is now deeply concerned about liquidity and understands the possibility insofar as the bond market is concerned. But rather than address the issue directly that is causing the collapse in global liquidity, the Fed is directing its attention to try to slow any potential panic selling of bonds by constructing a barrier to any panic exit. According to a small story in the Financial Times, Fed officials are contemplating the requirement to impose upon retail owners of mutual bond funds an “exit fee” to liquidate their positions. Obviously, curtailing banks from proprietary trading has also helped to reduce liquidity and this has the bankers screaming that this new policy should be reversed for it is creating a highly fragile bond market. However, what is being overlooked here is the reality of CONTAGION. Because we are in a serious bear market for liquidity, volatility will rise exponentially as liquidity declines. We are seeing the calm before the storm right now. The risk of CONTAGION can be illustrated by the events of 1998. The 1998 Long-Term Capital Management Crisis was precisely such a CONTAGION when people could not liquidate their Russian bonds and suddenly needed cash. This liquidity crisis in Russian debt sent investors scrambling selling whatever they could in other markets from the Japanese yen to shares in equities everywhere. Yes, gold rallied briefly from $502 to $532, but it fell to new lows thereafter into 1999. They needed money and sold whatever they could to raise cash. Hence, a crisis in one area and sector has the potential to create a wave of selling in other markets that people will never see coming from the fundamentals. This is the danger of CONTAGION. The 1987 Crash was precisely that. Foreign sellers of US equities came from nowhere contrary to domestic fundamentals all based solely upon the fear the dollar would drop another 40% because of the G5 (now G20) attempt to lower the dollar to reduce the trade deficit. CONTAGION disarms fundamental analysis! The Fed’s idea of an exit fee that would penalize people for trying to sell in a panic may sound logical, but in a panic logic goes out the window. This is not much different from banning short-selling, which Europe is moving to do. However, the Fed seems to have listened to what I have been arguing for decades. Markets collapse NOT because of short-sellers, but because everyone who is long tries to sell and there is no bid. That creates the flash crash. People will not look at the exit fee when the potential loss is greater than the tax or fee. Sorry – it will fail. It has been mistakenly attributed to the Fed for the decline in rates over the last six years. True, the Fed can control the short-term rates up to a point within confidence. However, if confidence in the dollar collapsed, then rates would have to rise in proportion to the risk of devaluation by market forces and that the Fed could not control. This is the forces at work upon Argentina. 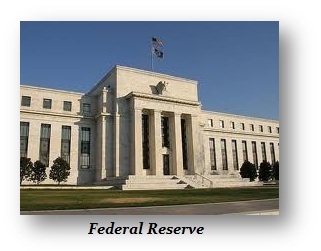 Additionally, the long-end has not been within the power-structure of the Fed’s control. There they embarked upon a buying spree of long-bonds to reduce the supply in hopes of lowering long-term rates. Yet the Fed realizes that it lacks the power to even try to manipulate the economy through the next down turn and thus it needs to end its quantitative easing and to allow long-rates to rise. That introduces the risk of a panic in long-bond funds and hence the idea of an exit fee. This new idea would be a more direct way the Fed hopes it could control the rise in long-rates by slowing the exit. The Federal Reserve policy of QE purchases has extended the decline in long-rates, but this has been aided by the bid from pension funds. The short-term bond bulls have anticipated making their “risk-free” long-term debt would bring stability, but even the central banks are now buying equities. As a result, mutual fund holdings of long-term government and corporate debt have risen sharply to over $7 trillion as of the end of 2013, which is more than double that of 2008 levels. This shows there is a pool of money that the Fed realizes will wake up and run to equities as the central banks have been doing on their own. Then there is the fact that many funds are leveraged. This introduces another complexity to the mix for leverage means you are borrowing on the short-end to buy on the long end. This has contributed artificially to further lowering the long-end yields as they dropped to under 2.5% on the 10 year. Keep in mind that playing the yield-curve like this was the very scheme that blew up Orange Country, California years ago. Buying 30 year bonds and selling 10 year bonds on a leveraged basis took the difference in rates as a profit and then when leveraged back to the actual money invested dramatically raised the appearance of the yield on the actual money put on the table. This introduction of leverage borrowing short to buy the long can reverse in a panic sending the short-term rates up faster than the long-end. Banks have being paying hardly anything and lending at spreads that are sharply higher. If short-end rises exponentially, we will end up with bank failures. So are the Fed policies playing with fire rather than telling Congress that FATCA is destroying global liquidity? The Fed may be playing out the song Hotel California where you can check in, but you cannot check out. This will only undermine confidence even more – not firm it up. As for those who just think the Fed is all-powerful, well they will think this should protect them and buy even more in the middle of a liquidity nightmare on the horizon.